Are you eagerly awaiting Mobile World Congress, excited for the expected announcement of the news Samsung phone, the Samsung Galaxy S6? We are, too! And thankfully, the anticipation got a little easier last night, thanks to the T-Mobile CEO John Legere. Legere tweeted confirming that T-Mobile will be carrying the next flagship smartphone, linking to this page on the T-Mobile site with the best shot of the Samsung Galaxy S6 to date. The image only shows one side of the phone, but it very clearly shows a curved display on that side. Samsung has also been teasing the new smartphone, releasing a video, “Samsung Galaxy Unpacked 2015 – The Next Galaxy.” The 45-second video highlights the metal features of the new release, all but confirming the S6 will sport a metal back instead of Samsung’s traditional plastic. It’s not much so far, but that’s what we’ve got and we have to say, we’re liking it! 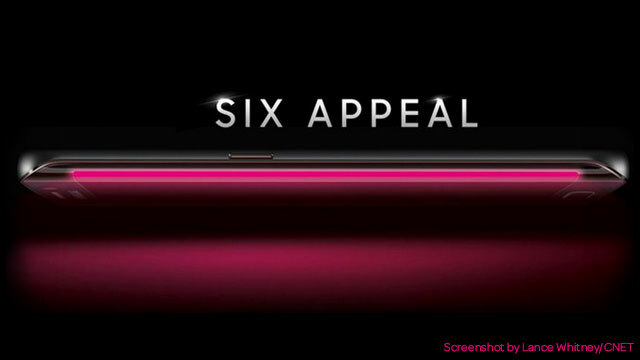 What other features do you hope the new Samsung Galaxy S6 will feature? Share below, and be sure to keep checking back to Speck Buzz for all the latest news!